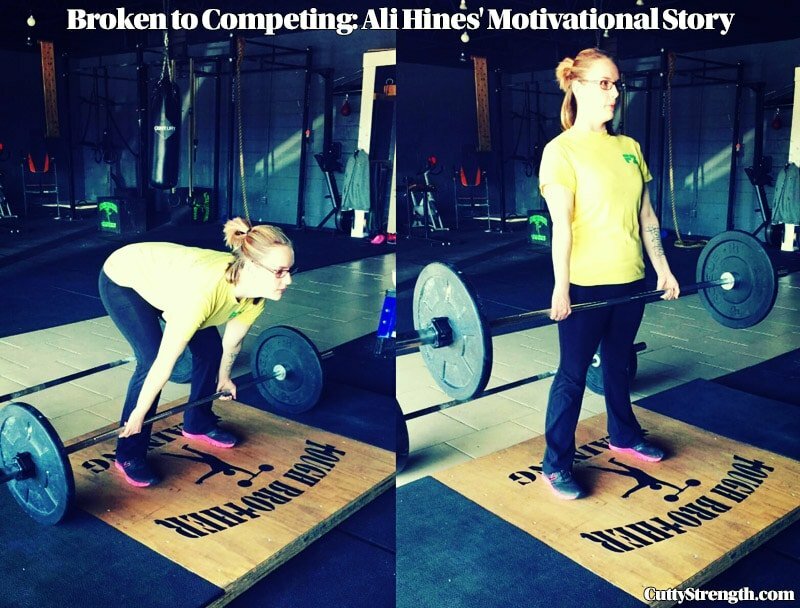 Editor’s Note: Ali Hines reached out to me on Powerlifting Source’s Facebook page and told me about her story. I wanted to share with you this story. On December 1st, 2014, I was in a major car accident. I was texting and driving, slid on a black sheet of ice, and hit an electric pole. I hit my head on that pole, causing me to have brain surgery because I had a hematoma in my left frontal lobe of my brain. My brain had shifted 9.1 mm, 10 mm is considered to be brain-dead. 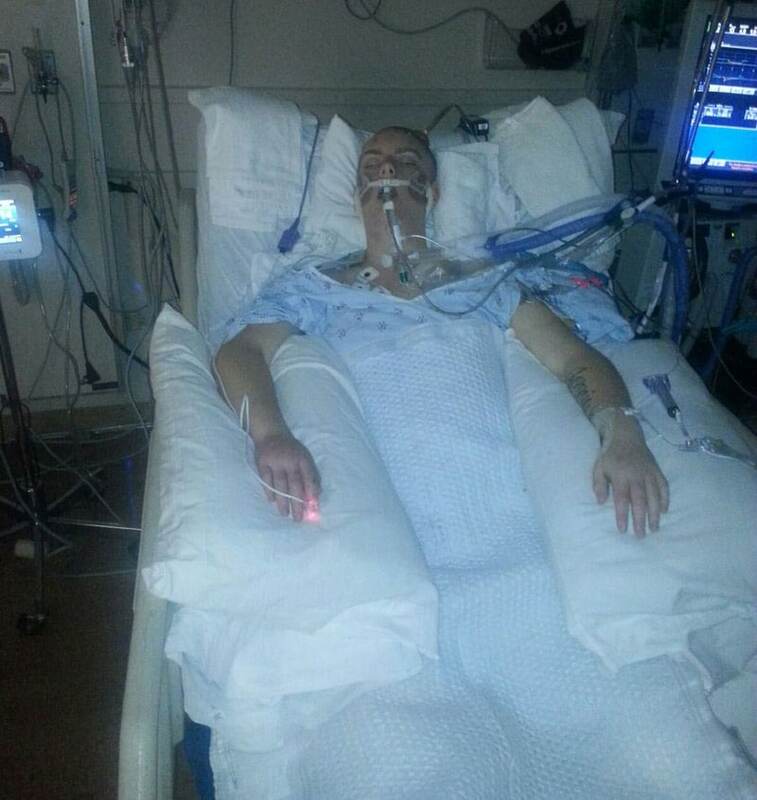 I was put into a medically induced coma for 12 days, with no brain function. Just 8 hours before I woke up, my parents were touring nursing homes to take me to. Once I woke up I had to learn how to walk, talk, and do it all for myself again. I had to wear braces on my legs and use a walker just so I could walk. I was diagnosed with bilateral foot drop (I just can’t move my feet up and down) because I developed neuropathy from my hips down while I was in a coma. Surprisingly, I was only in the hospital for a total of 30 days, 12 of those days being in a coma. I was in physical, speech, and occupational therapy and I was discharged from them all within 2 months after I was released from the hospital. I couldn’t even run before I started going to the gym but just a few weeks ago, I ran for the first time in over a year. It may have not been the best, but I still did it. I have pushed myself to where I don’t have to wear anything to support my ankles anymore. I can now move my feet up and down but with limited ability but I have faith that I will be able to one day. 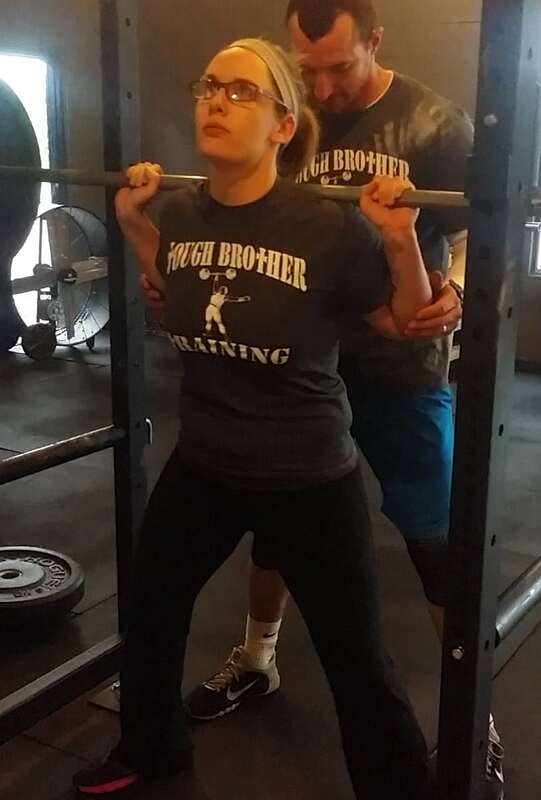 I started lifting at the TBT facility in Franklin, Ohio back in January and the people at this gym have pushed me past where I thought I could go; I didn’t have the confidence that I do now. I love what I do and if anyone wants to ask questions, please don’t hesitate because I love answering them! Editor’s Note: Ali’s Facebook page can be found here. Please share this motivational and touching story with everyone. This is what we should focus on in the lifting world, not the ego-driven stuff that everyone gets in a rage about.